Calculation of static magnetic fields caused by permanent magnets and also external fields defined by boundary conditions. 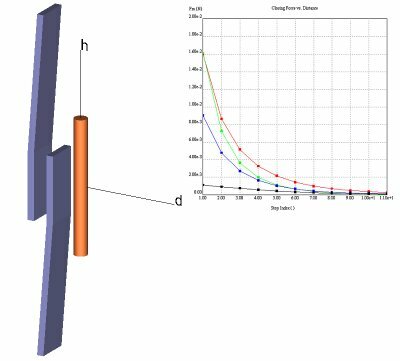 For many low frequency magnetic problems Boundary Element Method (BEM) is a clearly superior solver. Finite Element Method (FEM) solver is also incorporated so that a user can obtain independent verification of a solution simply by switching the solver setting rather than having to create a whole new model in a separate program.